Famous Trail Of Grand Prismatic Springs In Yellowstone National.. Stock Photo, Picture And Royalty Free Image. Image 64577803. 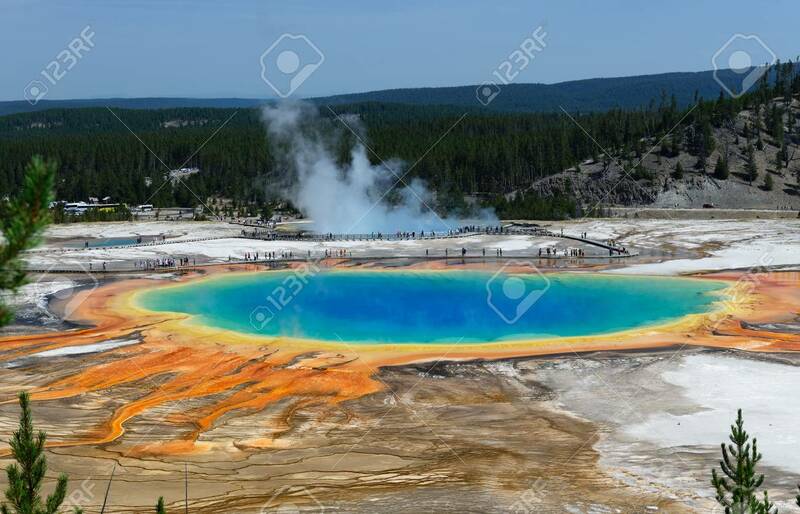 Stock Photo - Famous trail of Grand Prismatic Springs in Yellowstone National Park from high angle view. Beautiful hot springs with vivid color blue green orange in Wyoming. A lot of people vitsit the gorgeous Grand Prismatic Springs during summer. Famous trail of Grand Prismatic Springs in Yellowstone National Park from high angle view. Beautiful hot springs with vivid color blue green orange in Wyoming. A lot of people vitsit the gorgeous Grand Prismatic Springs during summer.